The Aqua Sphere Kayenne swimming goggles are perfect for triathlon and open water swimming thanks to the oversized, polarized Plexisol® lenses that cut down the glare from sunlight and protect your eyes from ultraviolet radiation. These sleek and stylish performance goggles with an anti-fog coating for maximum visual clarity guarantee quick and easy adjustments due to one-touch, Quick-Fit Buckle™ and have a durable silicone strap and a nose bridge for a tight and secure fit and enhanced comfort when training. for submitting product information about Aqua Sphere Kayenne Polarized Swimming Goggles We aim to answer all questions within 2-3 days. for submitting product information about Aqua Sphere Kayenne Polarized Swimming Goggles. We aim to answer all questions within 2-3 days. If you provided your name and email address, we will email you as soon as the answer is published. 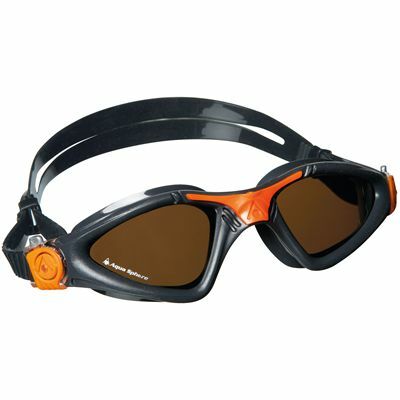 for submitting product review about Aqua Sphere Kayenne Polarized Swimming Goggles.